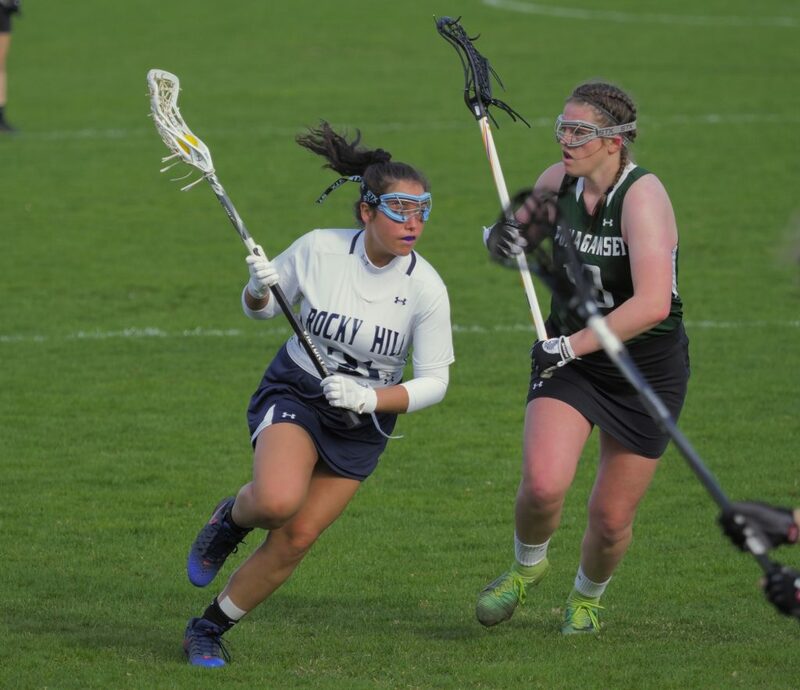 Rocky Hill came from behind to secure a gritty 13-9 victory over a physical Ponaganset team. All the Mariners dug deep to produce this result and made their coaches and fans proud. Sara Laurent played an especially outstanding game on attack and Aviva Beringhause anchored the defense in goal. Goals were scored by Rachel Arabian, Kaeley Zito, Charlotte Boss, Ptolemy Tassone, and Chloe Ponte. Come see our wining streak continue Thursday against Tiverton. Go Mariners!